Ignite JHipster is a new boilerplate for Infinite Red’s Ignite CLI, a React Native app generator. It enhances the JHipster developer experience by generating a full React Native application compatible with their JHipster backend. The React Native app comes complete with user authentication and an entity generator, jumpstarting the mobile app process. For those unfamiliar, JHipster is an application generator that creates a complete and modern Web app, unifying Spring Boot and Spring Cloud Netflix on the Java side, and Angular and Webpack on the front-end. JHipster also handles all of the database creation, cache creation, comes Docker-ready, and more. Ignite CLI is a generator for React Native with boilerplates, plugins, and more. While in the past, you had one choice – Infinite Red’s boilerplate – now you can choose from many boilerplates and add standalone plugins as you need them. Ignite JHipster is one of the available boilerplates. 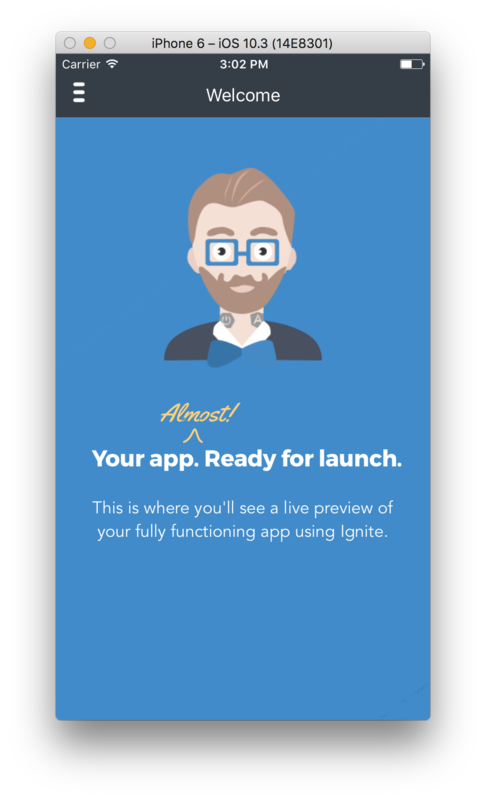 This demo will cover the process of using Ignite JHipster from top-to-bottom. Full instructions for installing JHipster can be found in the JHipster docs. Depending on which OS you are using, you will need to set up an emulator. The iOS Simulator is included in Xcode, only available on macOS. The Android simulator works alongside Android Studio or Genymotion. First of all, we need a JHipster application to serve as the backend for the React Native app. We’ll keep this simple by using one of the default apps. The only important choice when generating the JHipster app is the authentication. Ignite JHipster supports JHipster auth types of JWT, UAA, and OAuth2. It does not work with JHipster’s session auth. To keep this demo simple, we will be using one of the sample generated apps, jhipster-sample-app-ng2. This app uses JWT, the default authentication type for JHipster apps. 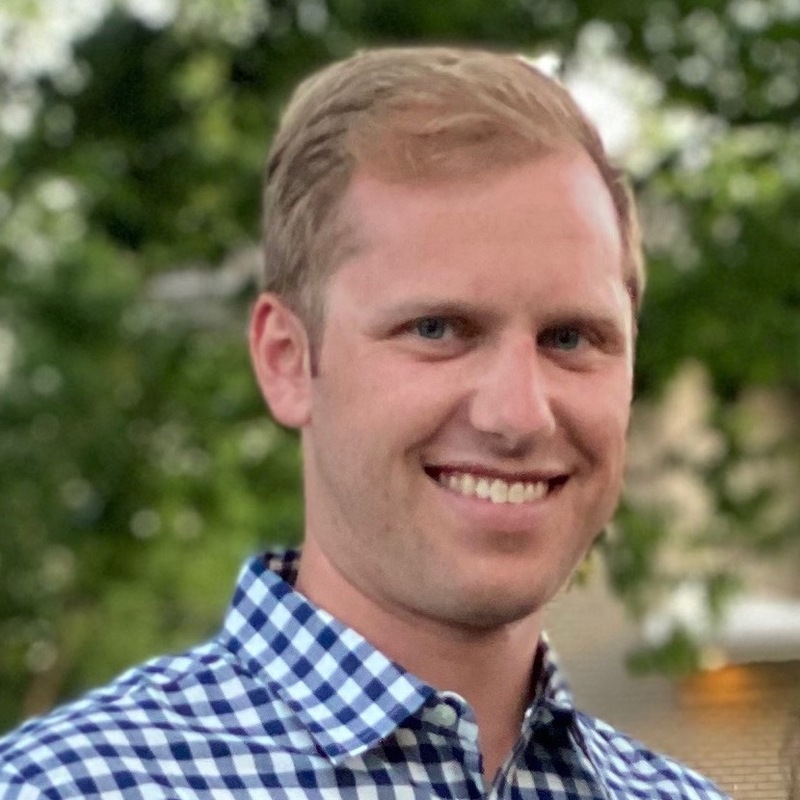 After cloning the project, run yarn install or npm install, then ./mvnw to start the Spring Boot backend. It will be available at http://localhost:8080. 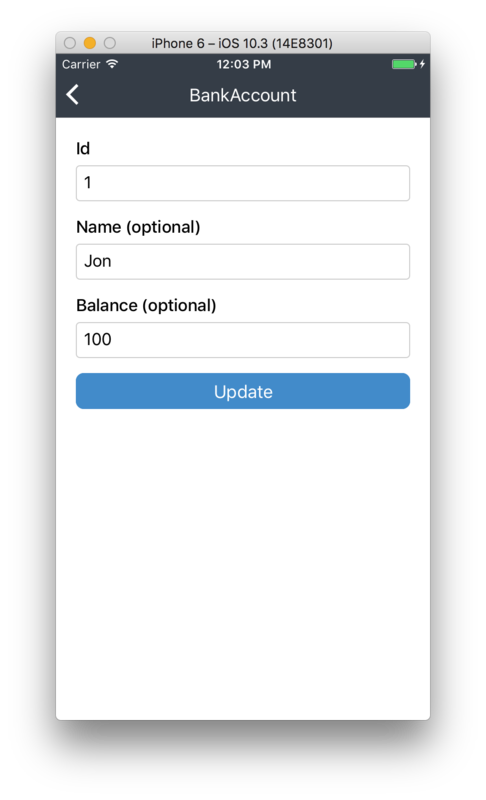 Once the JHipster app is running, we can start work on the React Native frontend. This will fetch the latest version of the boilerplate from NPM and generate the application from that code. The important configuration variables are located in the AppConfig.js file. To start the emulator and deploy the app, run either of the following commands. The application should connect to the JHipster backend and all screens should work as expected. 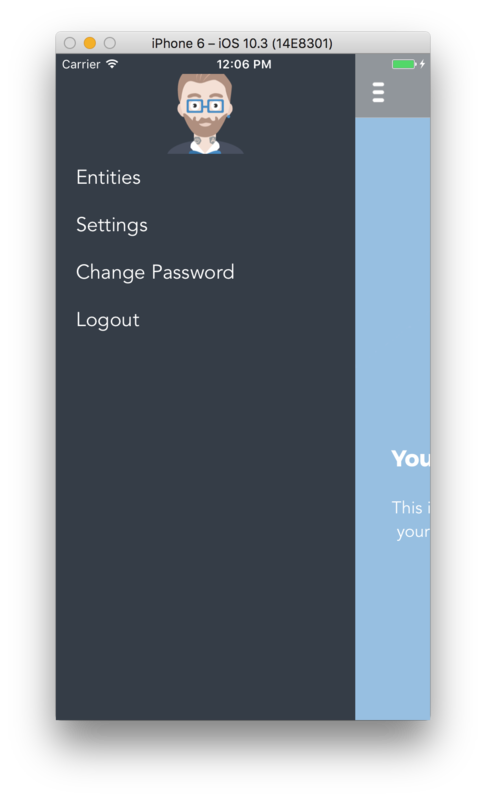 The generated screens include register, login, logout, settings, forgot password, and reset password. Similar to the regular JHipster generator, Ignite JHipster contains an entity generator to quickly scaffold the required React Native code. The entity must exist in the JHipster app before it can be generated in the React Native app. For this demo, we will use the pre-existing BankAccount entity from the sample app. Running that command will prompt the developer to enter the path to their JHipster directory. 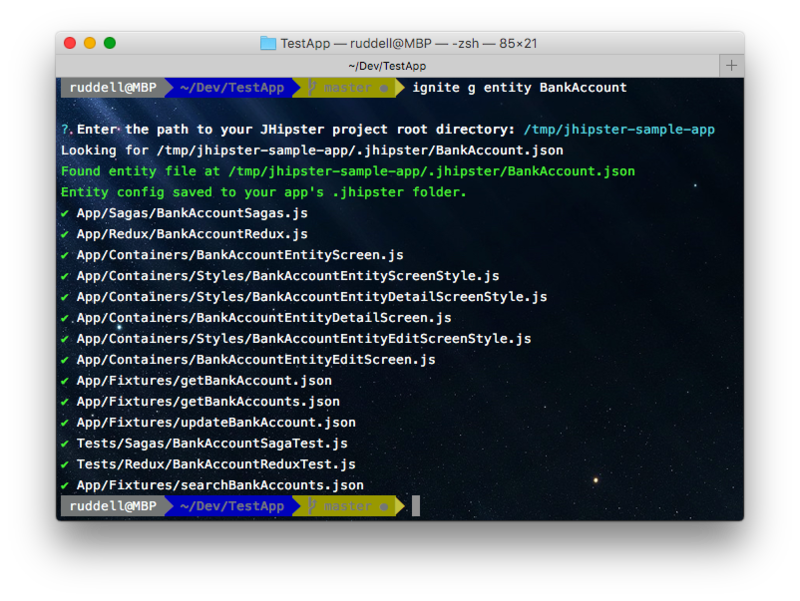 Once entered, Ignite JHipster copies the entity config file and generates the redux, saga, API, tests, and user interface for retrieving and viewing entities with the app. It also wires these files together so the requests work out-of-the-box. In summary, developers can now have a full JHipster website, backend, and mobile app - within minutes rather than weeks. The time saved can then be spent on adding the important business logic rather than setting up an environment and configuring dependencies. Any questions, comments, improvements, issues, and pull requests are welcome over at the Ignite JHipster Github page. Jon Ruddell © 2018 • All rights reserved.